You may know that oral hygiene is the foundation for a healthy mouth, but did you know that a healthy mouth is part of the foundation for a healthy body? That’s right, when you brush and floss, you’re doing more than just preventing tooth decay and gum disease. You’re maintaining a healthy environment in the mouth that goes hand-in-hand with a healthy environment in the body. If you neglect your oral health, your overall health is quite likely to follow suit. Keep your mouth and body healthy by eating a healthy diet, maintaining a good daily oral hygiene routine, and seeing Dr. Thompson regularly for cleanings and exams. Approximately 75% of the population struggles with periodontal disease or gum disease. If you have been previously diagnosed with this disease, or suspect that you may have it, we are excited to provide you with the latest in laser periodontal therapy. Gum disease is a bacterial infection that occurs when proper oral hygiene is not followed and maintained, and yes, even sometimes when it is. If your gums bleed during regular brushing and flossing, we’re sorry to tell you, you have gingivitis which is the early stage of gum disease. When plaque is allowed to remain on the teeth along the gum line and is allowed to harden into tartar, the gums become irritated to the point where they begin to pull away from the teeth, or recede. Eventually, gum recession forms deep pockets between the gums and the teeth, creating a breeding ground for bacteria. The bacteria associated with gum disease then have a direct pathway through the gums and into your bloodstream, to flow directly to your main lifeline – your heart. 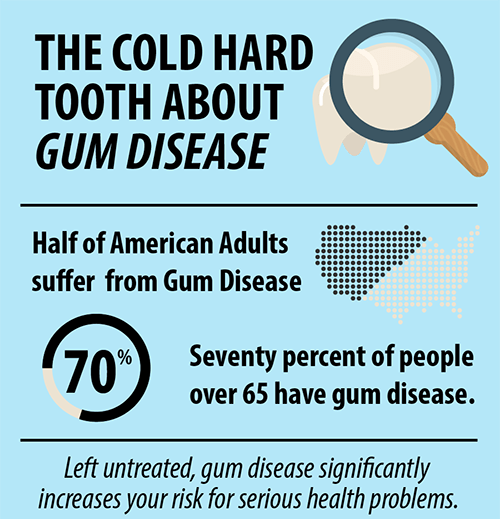 Gum disease left untreated can lead to tooth and bone loss, as well as other systemic health complications like heart attack, cardiovascular disease, and stroke. LANAP®, Laser-Assisted New Attachment Procedure, is the most technologically advanced and effective treatment for periodontal gum disease available. This procedure uses a special laser to remove diseased or infected pocket tissue from underlying, healthy connective tissue. Because the laser is so accurate, and only cuts out diseased sections of gum tissue, the healthy connective tissue is spared and able to heal and regenerate. Using a laser is also much less invasive than traditional gum disease treatments and gum surgeries, and therefore much less painful with little to no recovery time. At the Portales dentist office of Peter Thompson, DDS, we are proud to provide beautiful, metal-free dentistry for all of our patients. While the use of metal, up until quite recently, has been the “gold standard” in dental restorations, today there is much evidence that the use of metal, including mercury is actually potentially harmful to the human body. Not only are metal fillings and restorations potentially harmful (not to mention unsightly), but they tend to expand and contract with changes in temperature, making the restoration unstable. Thankfully today, advances in technology have revolutionized the way dentists treat decay and apply fillings. Dr. Thompson uses the latest technology to create metal-free fillings that are both healthy and aesthetically pleasing; no one will even be able to tell it’s there. Metal-free dentistry is now the standard. Composite fillings are a strong and enduring restoration that bonds directly to your tooth and allows more of the healthy tooth structure to remain. Dr. Thompson also custom matches the color of the composite material to the exact color and translucency of your natural tooth, so it blends in seamlessly with the surrounding teeth. One out of every 10 Americans suffers from chronic headaches and they spend over half a billion dollars every year for over-the-counter medications to relieve their pain. Many are misdiagnosed as having “migraines” and they live their lives believing they will never live without headaches. They never imagine that their headaches may be caused by a poor relationship in their jaw and that their pain is the result of a bad bite. This cluster has puzzled doctors in the past for years. 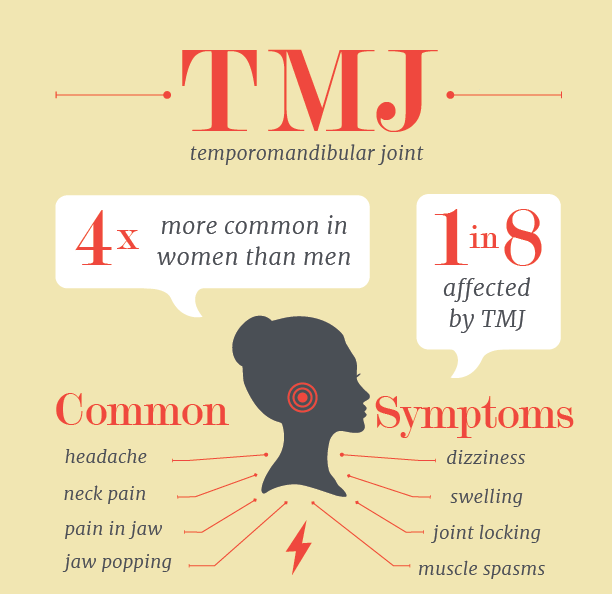 Now we can put a name to it: Temporomandibular Joint Disorder (TMJ, TMD, or TMJD). According to recent studies, more than 40 million Americans suffer from TMJ problems or MPD (Myofascial Pain Dysfunction). The good news is that Dr. Thompson is taking the lead in finding solutions. If you or someone you love suffers from the symptoms of TMJ, you may find that this information is the missing piece in the puzzle — and, that the treatment works! TMJ treatment could take away your chronic pain and change your life. If you have any questions about general dentistry or would like to schedule a visit with your Portales dentist, Dr. Peter Thompson, give us a call today or request an appointment online!